February is American Heart Month, so what better time to learn some tips for keeping that vital organ healthy? Your heart is responsible for pumping blood and oxygen throughout your body and keeping everything running smoothly, so taking care of it is essential to living a long and healthy life. Below are some simple tips to help you keep your heart in shape. Stay active. Do your best to avoid being sedentary whenever possible, and try to include 30 minutes of aerobic activity five days a week. If this goal doesn’t seem feasible, then try to include activity wherever you can. The more exercise you fit in, the better it is for your heart. Try taking the stairs when possible, or going for a walk after work instead of settling on the couch. Small changes can make a world of difference in keeping your heart healthy. Monitor your diet. Some foods have been found to worsen heart health, and while not everyone will be able to give them up junk food cold turkey, reducing consumption can also help. Limit your consumption of sugars, red meats, and saturated fats, and add more fiber-rich fruits and vegetables into your diet. Also, try to limit your sodium intake by gradually adding less salt to your foods. Stop smoking. If you are a non-smoker, then you are already ahead of the game and should avoid picking up the habit. If you do smoke, quitting can dramatically reduce your risk of heart disease. Talk to your doctor about different quitting strategies to find which one works best for you. Watch your weight. Obesity has been linked with heart attacks, heart failure, and diabetes, so monitoring your weight is essential to protecting your heart. A combination of diet and exercise can help you maintain a healthy weight and reduce your risk of developing these conditions. Know your levels. Make sure you have your blood pressure and cholesterol checked on a regular basis. High levels of cholesterol may put you at risk for heart disease, while hypertension—or high blood pressure—has been linked to heart attacks, strokes, and heart failure. Keeping tabs on these levels will allow you to make any necessary lifestyle changes to prevent these potentially life-threatening conditions. Manage stress. Stress has become common in the lives of many, and handling it improperly or not at all can increase your risk of heart disease. Be aware of your stressors and try yoga or meditation techniques to help you manage and reduce this stress. See your doctor. Going for regular check-ups to monitor your health is one of the easiest ways to protect your heart. Your doctor will check your levels and monitor any conditions you may have, as well as provide personalized advice for keeping your body healthy. Keeping your heart healthy is important every month of the year, and following the tips listed can help set you on the right track. 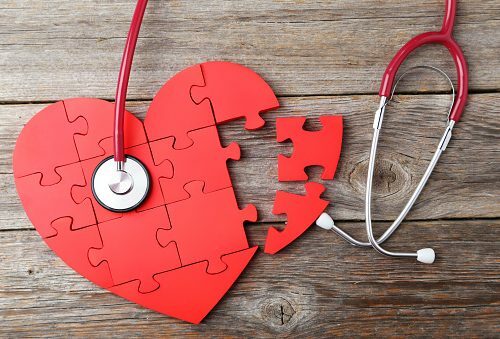 If you have any concerns over your heart health or well-being in general, speak with your doctor, as they will be able to provide you with tailored advice that will suit your individual needs.